Evanston lifeguards David Altman, Jack Killheffer and Tudor Byas were honored by Mayor Elizabeth Tisdahl at Monday's City Council meeting. The lifeguards rescued a man whose boat sank earlier this month about a mile and a half off the coast of the Northwestern campus. 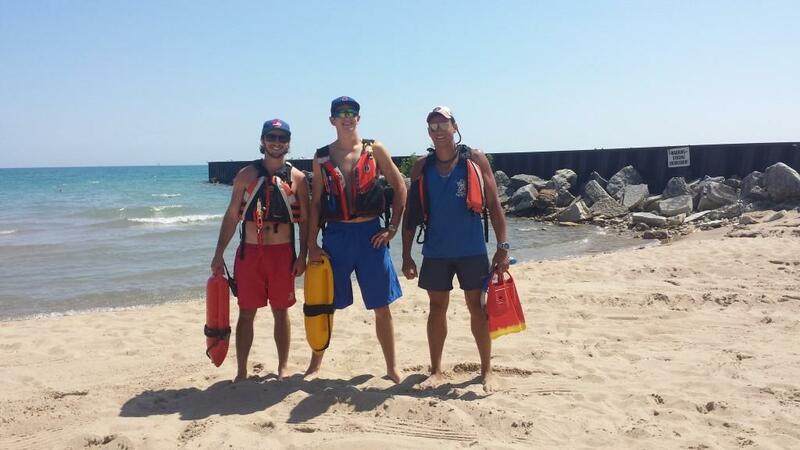 Evanston Mayor Elizabeth Tisdahl on Monday will recognize three lifeguards who rescued a man from a sunken boat. Lifeguards David Altman and Jack Killheffer embarked on a rescue mission the morning of July 2 after receiving a broken-up distress signal while lifeguard Tudor Byas managed radio communications, Altman said. After listening to the stranded man describe his location, the lifeguards set out on a rescue boat and followed a trail of debris that included a dock bumper and cushions. About 30 seconds after finding the debris, the lifeguards spotted a man who was wearing a yellow life jacket and waving his hands, Altman said. By that time, the boat had already sunk about a mile and a half from the coast of the Northwestern campus. The rescued man was brought to shore and not hospitalized. “He was pretty much in shock,” said Altman, 26, who has been working summers at the Evanston Lakefront Lifeguard Rescue Team for about a decade. A salvage company pulled the boat from Lake Michigan on Friday using flotation devices, lakefront manager Adam Abajian said. The boat has been towed to either Montrose Harbor or Belmont Harbor. It remains unclear why the 50-foot renovated 1970s Chicago fire boat sank. When the man noticed a pump in the back of his boat taking on water, he only had time to put on a lifejacket and grab his marine radio before the boat went under, Altman said. Altman described the waters that day as “rough” with 4- to 6-foot waves. Although the rescue mission has garnered attention, Altman said lifeguards regularly make rescues. Lately, there have been many cases of children falling into deeper patches of water before reaching the sandbar Abajian said.